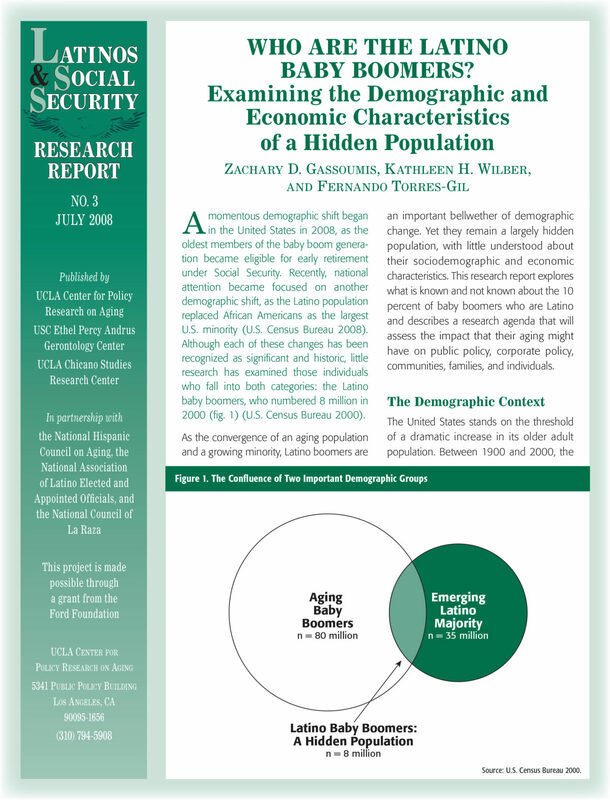 Latinos & Economic Security (LES) | Who are the Latino Baby Boomers? Home > Who are the Latino Baby Boomers? Latinos comprise 10 percent of the baby boom generation as well as a steadily increasing proportion of the U.S. population, making Latino baby boomers an important bellwether of demographic and economic change. Despite their importance, little research has explored the impact that Latino boomers are likely to have on families and communities and the policies that affect them. This policy brief summarizes what is known and not known about this hidden population. This report assesses what is known and not known about this hidden population.